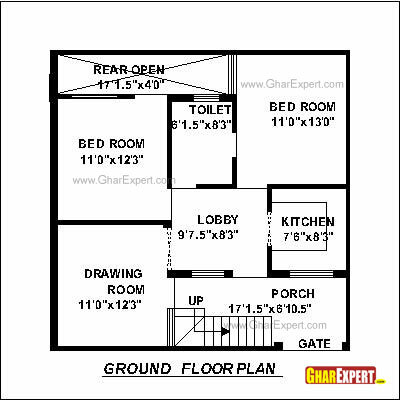 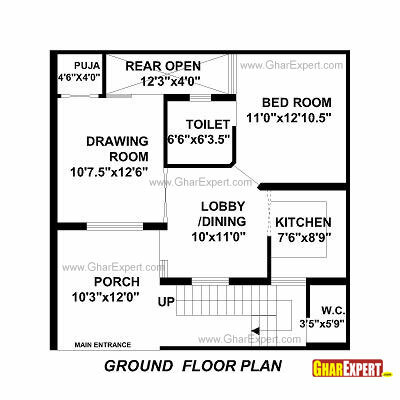 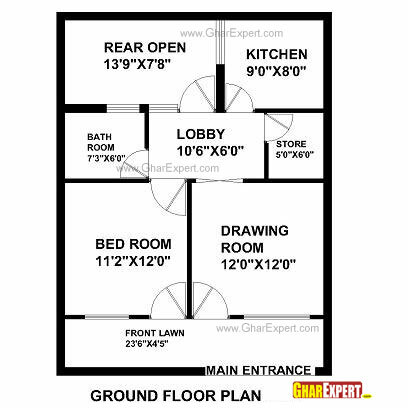 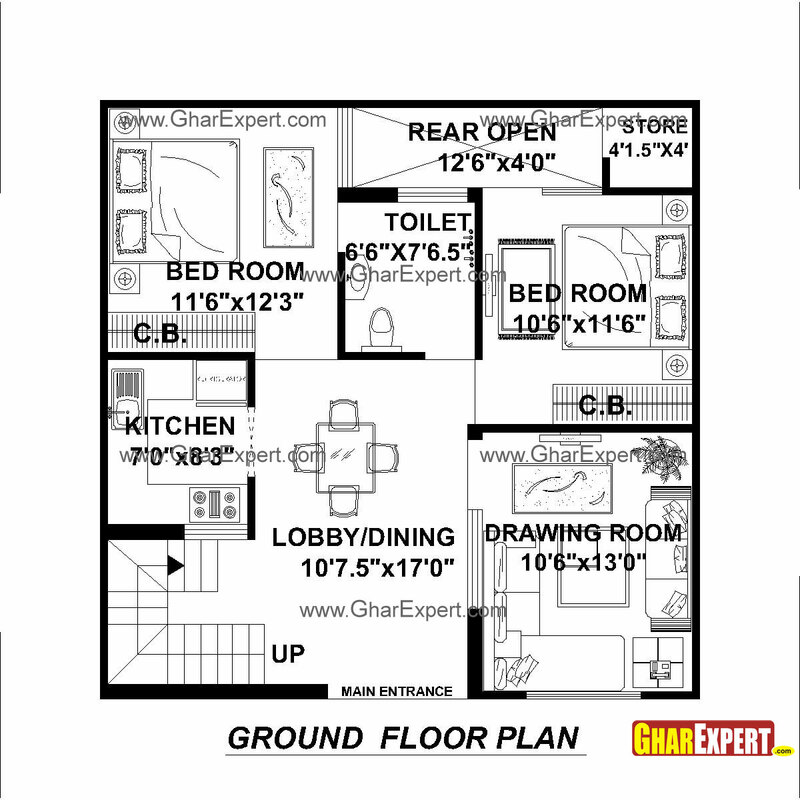 Buy detailed architectural drawings for the plan shown below. 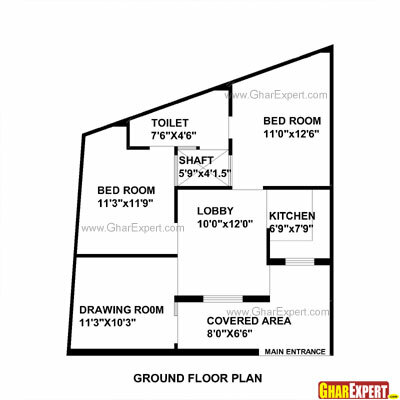 Architectural team will also make adjustments to the plan if you wish to change room sizes/room locations or if your plot size is different from the size shown below. 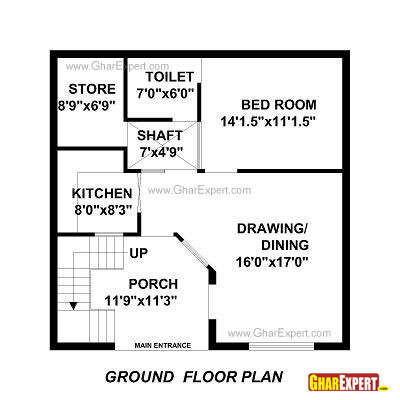 Price is based on the built area of the final drawing. 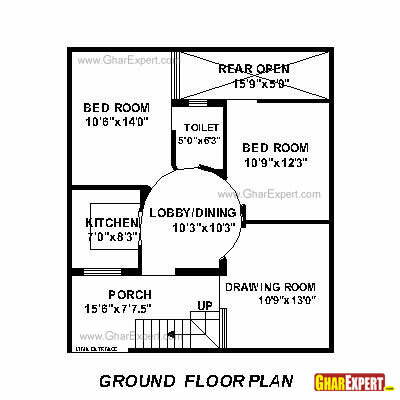 For Rs. 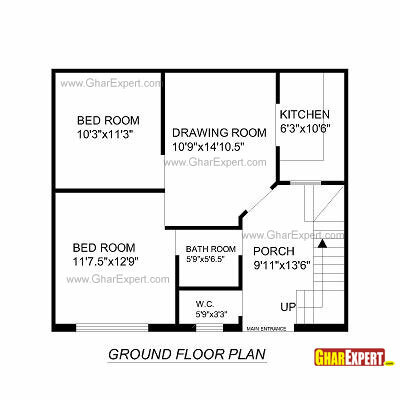 11400 you will get detailed drawing for your contractors and door window schedule. 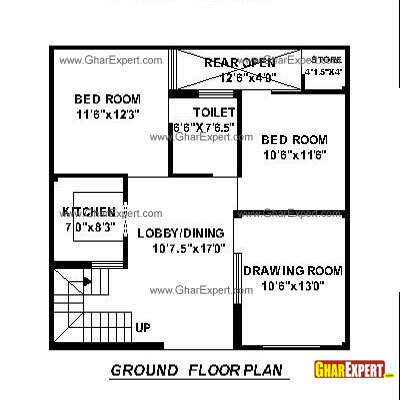 Additional drawings such as structural drawings, electrical drawings, plumbing drawings, 2-D, 3-D elevations, construction cost estimate, wood-work design support, ceiling designs, flooring designs, available at nominal cost. 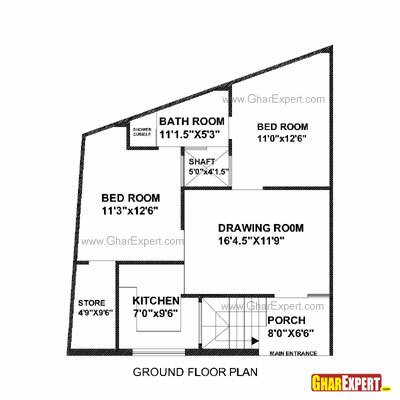 Click here to learn about the cost structure of other drawings and see sample drawings.